Who’s exhibiting at Bride: The Wedding Show at Oxnead Hall 2018? 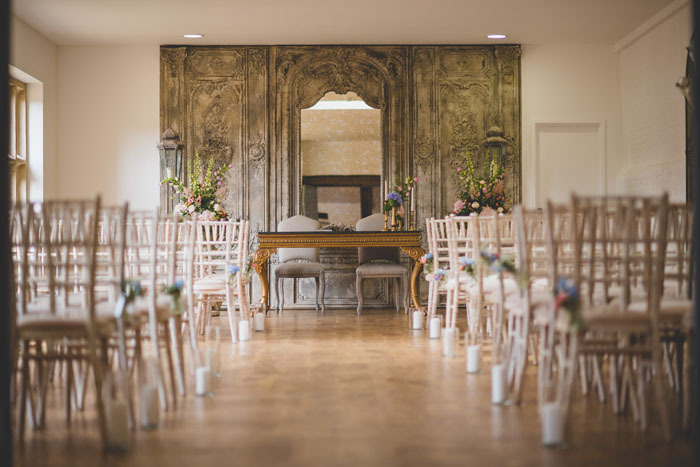 Oxnead Hall is a remarkable destination wedding venue in Norfolk offering the perfect mix of grand and personal, historic and modern, secluded and spacious. However you envisage getting married in Norfolk, you’ll have exclusive access to Oxnead to make it a day to remember. This elegant Grade II listed building in Norwich features its own medieval church and stunning settings to enjoy during your wedding reception including the barn, orangery, and beautiful grounds. Now in its seventh year of running a fun casino business, but with more than 80 years’ experience in working and managing real casinos around the world, 4 Aces Fun Casino is one of the most experienced casino companies in the East Anglia region. Looking for something different to entertain your close family and friends on your special day? Look no further than 4 Aces Fun Casino. 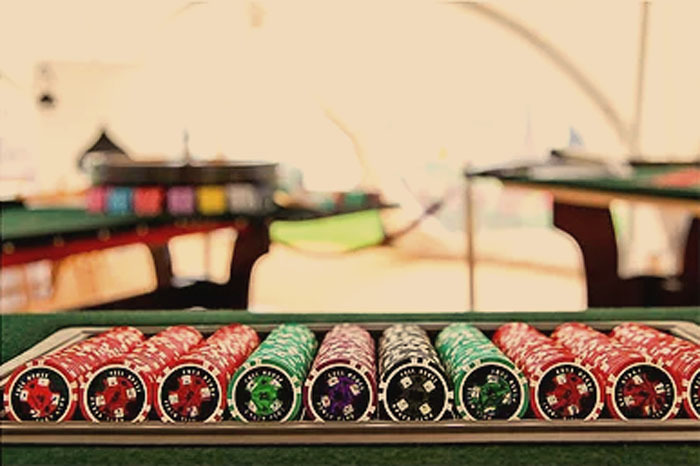 A fun casino is a great way to get guests mingling and breaks the ice. You don’t have to worry if your guests haven’t played casino games before as the friendly professional croupiers are on hand to help and explain everything. 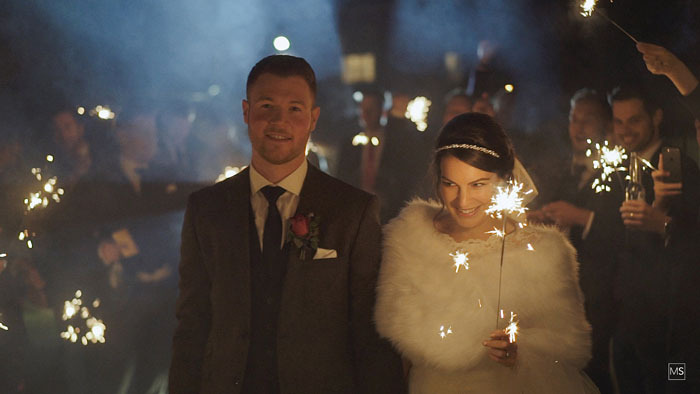 Mike Savory is an award-winning Norfolk wedding videographer who creates beautiful, storytelling wedding videos with that cinematic edge. Every couple is unique, every couple is different, and Mike believes that your wedding film should reflect you and your relationship. Mike loves working with couples who aren’t afraid to be themselves, encouraging them to laugh a little and let the memories flow. Mike is based in Norwich and spends most of his time filming weddings throughout Norfolk, Suffolk, Essex and Cambridgeshire. However, if you love his work, he is happy to travel wherever required. It’s the most important day of your life, and Mike would love the opportunity to share it with you. Do you want your “I do” to be the same as everyone else’s? Wouldn’t you prefer yours to reflect your individuality and personal preferences? Why have the same script and wording as thousands of other couples? 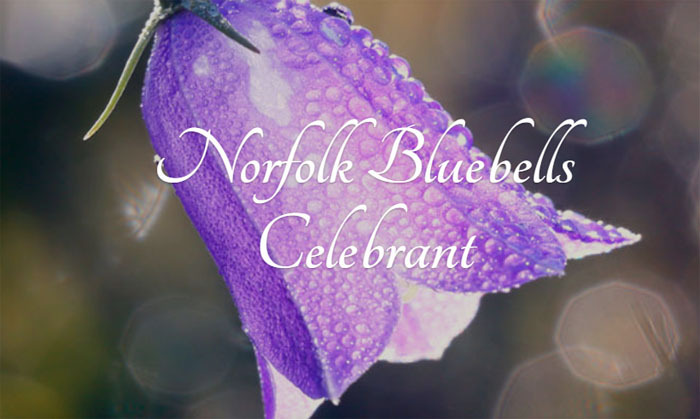 Instead, by working with Norfolk Bluebells Celebrate, you can achieve the perfect ceremony and one which will be memorable for all the right reasons – simply because it was about you as a couple. 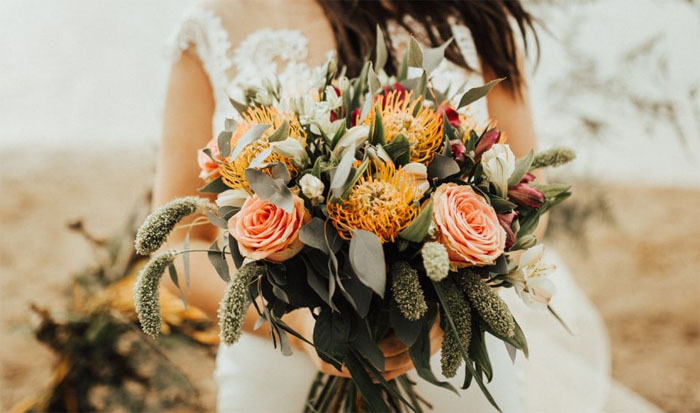 The whole structure and content of your wedding will be designed by you, with Norfolk Bluebells Celebrant providing the experience, inspiration and knowledge to pull your ideas together. Norfolk Bluebells Celebrant can support you in writing your own vows or you can leave the writing of the entire script in their capable hands. 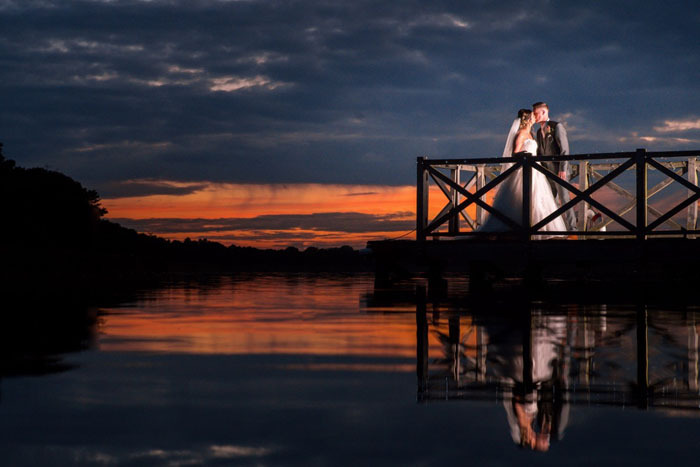 Weddings are priceless and so when Richard is photographing wedding, he uses his signature reportage style to tell the story from start to finish and capture that magic as it unfolds. Richard aims to be discreet and capture the natural smiles, laughs and tears of joy and happiness, plus he’ll also get in on the action close up as and when it is needed. Nothing is ever too much trouble and Richard will never be caught without a smile on his face. As well as being a photographer on the day, Richard has also been known to have choreographed one bride and groom’s dance to Steps – Tragedy, stand on rooftops, and act as a children’s entertainer to the toddlers… and some of the adults. He has also crossed rivers in his socks, camera in tow, to capture those magical moments. 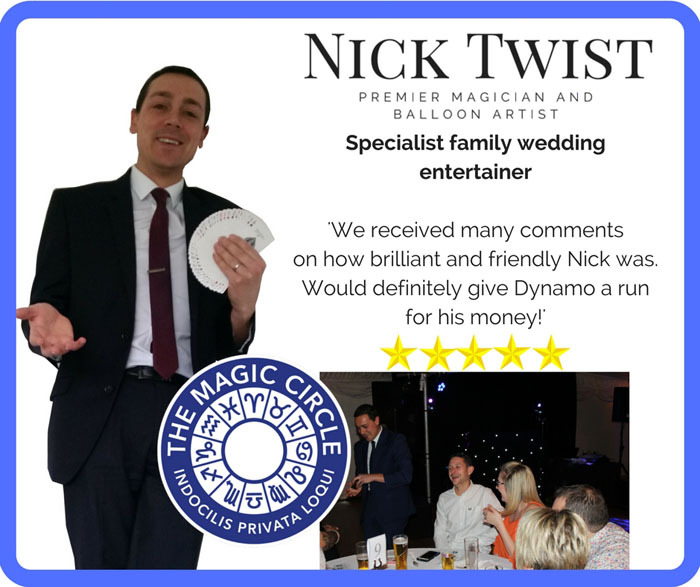 Nick is a specialist family wedding entertainer. Weddings often include guests of all ages and they can be long days for many. You don’t want them getting bored during the quieter moments, you want them laughing and enjoying themselves. Nick has all age ranges covered. He presents magic to your adult guests – imagine paper melting into real £20 notes or coins literally appearing inside your guests’ clenched fists. How about forks bending in unimaginable ways or amazing mind-reading? As for the children, don’t have them running around screaming – this is meant to be your special day. Get Nick to make them a unicorn, cute princess, Minion, Star Wars character or an alien with real flashing lights in his space suit. This is wedding entertainment at its finest and it will be long remembered by your guests. 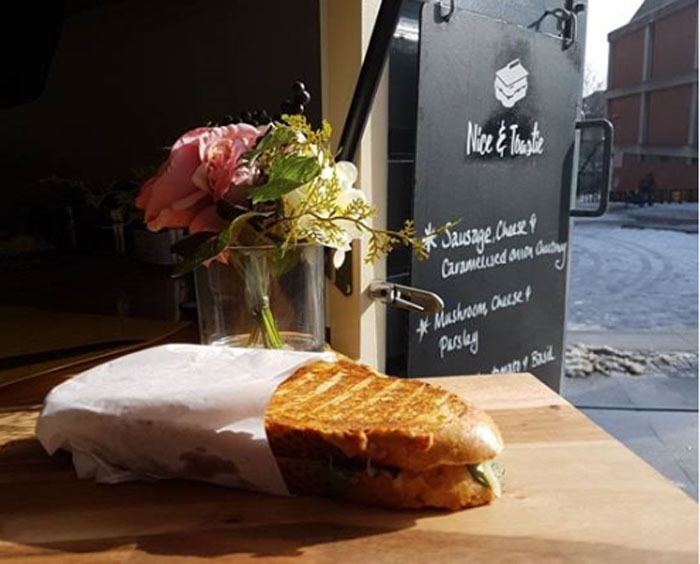 Serving up a selection of grilled sandwiches, Nice & Toastie offers sweet and savoury toasties from its lovingly converted horsebox. A family-run business delivering a friendly service and large menu, Nice & Toastie can even provide bespoke options to please all in attendance. Available to hire for corporate events, parties, festivals, and of course, weddings. Bride: The Wedding Show at Oxnead Hall in Norwich, Norfolk on Sunday, 25th March is FREE to attend. Visit http://oneday.bridetheweddingshow.co.uk/show/oxnead/ for more information.